Steve teaches digital photography capture and post processing techniques using OnOne Software and Beta tests other post-processing software. 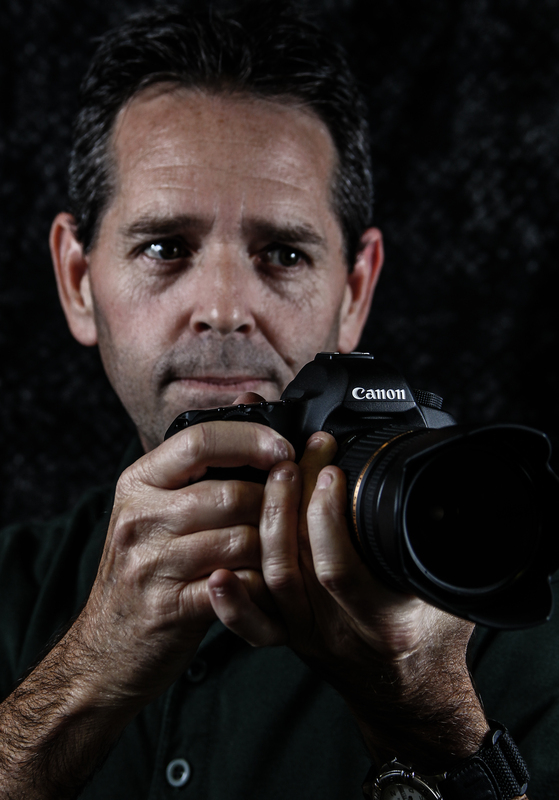 He is currently an active board member and webmaster for the Lighthouse Camera Club. Unauthorized use or duplication of content from this site is strictly prohibited unless proper credit is given and a link back to the site is included. Commercial use of any type is prohibited without written permission from Dapontephotography and appropriate licensing fees are paid. If you would like to License any of my images please contact me. Dear Steve, Becki and I are so impressed by your photography! Keep up the Good Work! Welcome from Australia. Thanks for stopping by on my blog. Your welcome and look forward to more of posts you have great photos! Thank you for visiting carecomposition.com. I appreciate the blog like. It’s nice to meet you! Thank you for stopping by my garden blog! It is nice to meet you! Thanking you visiting. Very glad that you ‘are back from self-imposed exile to pursue your bliss’. Love that! Welcome from California!! Thank you for stopping by my blog and “liking” my photo. I’m an avid gardener so I shall be following along to see your wonderful garden photography! Your welcome! Thanks for checking out my blog as well! Oh, my photo blog, (A photo a day by me) 🙂 not the debsdiscoveries! Your photo of the workers, at onetime long ago I was doing the very same thing. Sure doesn’t look like very much fun!! When I first drove by both of them were completely prone on the cold sidewalk. At least they still have a sense of humor. I may have already mentioned it with this photo, but when they saw me taking photos they asked me if I wanted to help them. I showed one of them the photos, but the LED screen on my point and shoot is small and I don’t think he really understood why I was taking pictures in the first place, lol! Hi Steve, Your blog is gorgeous and the photos are stunning. I will spare my time to travel over your blog. Thank you for liking mine. thanks for visiting my blog. You take beautiful pictures. Your welcome! Thanks for checking out mine as well and taking the time to comment. Love your lay out. So clean and easy to peruse. Great idea. Thanks for stopping by my site. I am glad you did because now I am following you. Great shots. My wife is a fine art photographer. I gotta show her this. Looking forward to more posts. thanx for stopping my blog, Like you I’ve found my way back to photography. love your layout of your page, really shows of your inspiring photographs. Must show others your fine work. I am now following you and looking forward to more of your work. Thanks so much for stopping by, your kind comment and following my blog. Next month I will be headed to portland oregon and look forward to sharing images and stories of the trip. safe travels, looking forward to hearing and seeing about Portland. :). thanks for the like on my recent post. I enjoyed looking through your site. Your welcome! Thanks for stopping by my blog as well. Great photos. I really enjoy your work. Thank you. thanks for liking my recent post and dropping by. you have a nice blog and plenty of nice pictures. Thanks for visiting my blog and leave like. Your welcome and thank you for visiting my blog as well. Your welcome! Thank you for all the likes on my posts as well. Thank you for liking my Chinese Sun Dial! You might as well color me envious on every single one of your photos! They are breathtaking. You have an incredible eye! All the pictures on my blog are mine, even the graphic or digital art ones. I am still just a student but I am having a blast learning and playing around with different techniques! I absolutely love your photos! There is a beautiful simplicity about them that just draws me in and then shows me so much more! Simply Stunning! Thanks for visiting my blog. You certainly have many wonderful images and I look forward to following/viewing your work. Your photos are fantastic and I look forward to following/viewing you work as well. Thank you for visiting and following our blog. Hope you are having a great day! Come and join us on FB: https://www.facebook.com/pages/Travellersplanet/565593583481626 … Take care!! Your welcome! Thanks for stopping by my site as well. It’s refreshing to see professional style photography blogs like yours. Thank you so much! Your blog has fantastic pictures as well and I look forward to viewing more of your photography. Thank you so much for the nomination. Your work is an inspiration to me and many thanks for following my blog. That, along with your kind words is award enough for me. Hi, I followed your sales link to Committed Photography and was curious how that was working for you? Is that at the same sight or a different one? Fine Art America was recommended to me by some local photographers which have sold prints and cards there. Love this: “Capturing images of the world around me natural, manmade or purely accidental that many of us tend to forget or may even deny exists.” Great to be conscious of everything around us. Enjoying the photos, keep it up! Thanks so much for the stopping by and I look forward to viewing more of your images. Thank you for visiting my blog. I’m glad you enjoyed my post on the golden ratio. You have some great work here on your blog. I love your style and look forward to seeing more of your work. You have great images and information on your site and I look forward to more. Thanks Steve. Pleased to have found your eye catching blog. Lots to explore. Regards from Thom at the immortal jukebox (drop a nickel). I agree, WordPress has, for the most part, been a friendly space to exhibit and view like-minded photographer’s work. I am enjoying your urbex photos. The area i live in does not have very much of this type of material the old buildings get torn down real quick around here. I have to do a bit of traveling for some of these shots – of course I started out local and have moved outwards – still these are shot mostly in the Northeastern US. * Nominate 10 bloggers you admire and inform nominees by commenting on their blog. Steve, I hadn’t seen any posts by you for a couple of weeks now. So I thought I would check to see if you had dropped out of site or what. After a little checking I found out, for some unknown reason, I wasn’t following you anymore. I never changed the setting so it had to be a glitch of WordPress or the internet in general. Glad to see your still around here and taking those great shots. That happened to me awhile back also. Some of the sites I followed dropped out and I had to refollow. Probably a wordpress glitch. Happy to see your still around as well. Thanks for your stopping by and your likes and comments. Thanks for stopping and liking my blog posts Steve. Hi Steve, Thank you for following Jane’s Lens. I hope you enjoy my work. You images are terrific and I look forward to seeing more. Hi Jane, Your welcome! I am enjoying your beautiful and inspiring photos and I as well look forward to viewing more.